Great show of teamwork. I love the colors. One of your best! Hi! Is this a photograph in Spain? 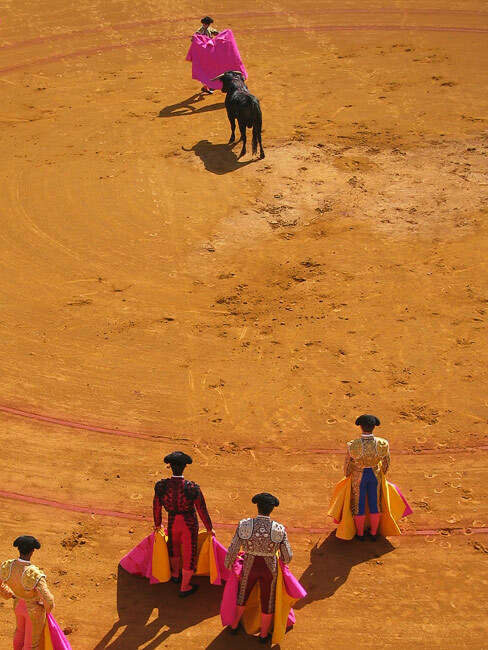 Those who stand face to face against bullfighting, the man of support, and its position space are very wonderful. It is a good photo!! Very cool shot. I love the pinks in the photo - costumes and surrounding circle. Beautiful! I love this photo.